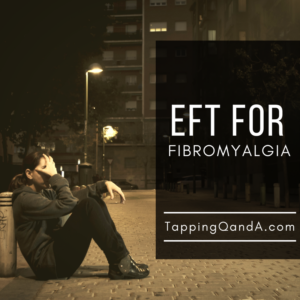 Over the years I have been asked a number of times about how to tap for fibromyalgia. Unfortunately I have not been of much help as I have no experience working with this complex condition and all of the practitioners I have reached out to have reported achieving inconsistent results at best. 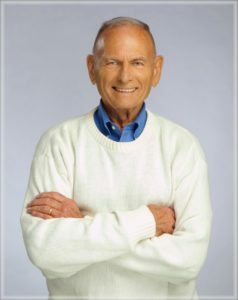 For this reason I have been searching for the right guest to interview for the topic and I’m happy to say that I have found Dr. Norman Shealy MD. Dr. Shealy has been working successfully with fibromyalgia patients for over 30 years. As you will hear in this interview, there is a reason why tapping for fibromyalgia is so hard to tackle AND what you can to to be successful in finding relief. About: C. Norman Shealy, M.D., Ph.D. is a neurosurgeon and one of the world’s leading experts in stress and pain management. A true innovator in the field, Dr. Shealy holds 10 patents for ground-breaking discoveries, and has published over 300 articles and 25 books. As one of the first physicians to specialize in this discipline, he founded the Shealy Institute in 1971, a center for therapy and research of chronic pain. The center was the first comprehensive, holistic clinic in the country for the management of depression, migraine, fibromyalgia, and back pain, resulting in numerous pioneering treatments. Demonstrating the success of a comprehensive, holistic approach to almost all illnesses, this pioneer has helped to bridge the gap between holistic medicine and traditional Western medicine to allow individuals to take responsibility for their own health. Although EFT is a powerful technique, when it comes to diseases, it is good to know the REAL cause of the disease. As You know, Fibromyalgia is the medical term for widespread muscle pain. I am a doctor, and in terms of the approach I use, fibromyalgia indicates a long-lasting healing of a generalized self-devaluation conflict affecting the whole person. But, it is not always good idea doing tapping in the healing phase. Feel free to contact me, if You need more informations. Best regards from Radha! I would be very interested in finding more about your approach. I’m an EFT coach. Please, how can we get in contact? When My wife and I where operating our private EFT practice, we,and the client, CURED her Fibromyalgia , She has had NO return of symptoms and that was over 14 years ago . One further bit of information: a Harvard school of medicine back surgeon has documented that the is a DIRECT Negative correlation between the number of untreated emotional traumas and the effectiveness of ANY medical back treatment. I.E. The more untreated emotional traumas, the less effective any medical intervention. Please keep spreading the word how much impact untreated trauma has on our lives, and how safe, and successful EFT can be treating trauma! !